Client Service Associate,Laurie Cantwell joined McNamara Financial as Client Service Associate in 2015. A true problem solver, she is helping the company take our services to the next level with innovative technology ideas. Having earned her B.S. 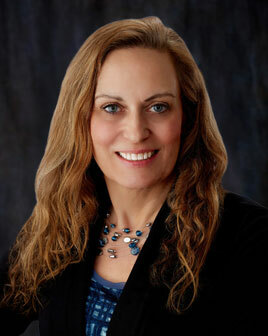 in Computer Science from Merrimack College, Laurie comes to McNamara with 15 years’ experience in the investment industry. Her skills have been invaluable as we work to simplify the investment process for our clients, helping them to meet their investment goals for themselves and their families. “I like to figure out how something works and make it better, whether it’s through automation or streamlined processes and workflows,” says Laurie. In her free time, Laurie enjoys volunteering, beach trips, skiing, gardening, “anything crafty”, as well as spending time with her husband, Jim, and their two children. Furry friends round out the family: currently, two cats and a kitten. As a volunteer for the Lowell Humane Society, Laurie fosters cats and their kittens to provide homeless animals with temporary care until they can be ready for adoption. Click here to view all McNamara Financial bios. Kinship AdvisorsSM is a service mark of South Shore-based McNamara Financial Services, Inc., a Registered Investment Advisor. DISCLAIMER: McNamara Financial Services, Inc. is a federally registered Investment Adviser. We affirm that past performance is no guarantee of future performance. McNamara Financial Services, Inc. does not relay, nor will accept, personal, secure or tax information via our website or any social media site. McNamara Financial Services, Inc., cannot establish a client relationship, nor is a client relationship intended, though this website or any social media website. Any information given on our website or any social media site is intended to be generic in nature, and not specific advice directed towards one person. In accordance with SEC guidelines, you may find our ADV at www.adviserinfo.sec.gov.